I considered calling this article “13 Expert Podcasting Tips from The Experts,” but it felt too Spinal Tap for me. There’s a “Podcasting Renaissance” going on right now. Businesses and Internet marketers are realizing the benefits of having their own podcast…their own Internet radio show. You have a captive audience, because people often listen to podcasts while they’re doing something that keeps them from reading or watching videos, like driving in their car or running on a treadmill. You are quite literally inside your audience’s head, and they feel like they know you. People subscribe to your podcast, so it’s delivered to them automatically, not unlike an email newsletter. Since I’m no podcasting expert, I decided to tap some friends who were. Here are expert podcasting tips from 13 professionals who are knocking it out of the park. Actually ‘getting started’ with a podcast is the toughest part – and it’s not a tech thing. We all have the ability to entertain, provide value and be engaging – however, a lot of the time we believe that nobody will listen in, or pay attention to what we have to say. Once we get over this initial stumbling block, and we’re rockin’ and rollin’ on iTunes, I’ve found that the optimum show length for an audience of small business owners, or solopreneurs is around 30-45 mins. They like lots of tips, tactics and techniques and they LOVE a little entertainment, too – so don’t be scared to throw in the odd joke – even if it’s just a cheap gag! Podcasting has made a massive difference to the growth of my brand, businesses and my audience. I absolutely whole-heartedly suggest that every entrepreneur in the 21st century get behind the mic – and make it soon – because your competition is already planning to, if they haven’t already! Chris C. Ducker is the Founder of Virtual Staff Finder, a virtual assistant match-making service and Location63, Cebu City’s first ever co-working space. 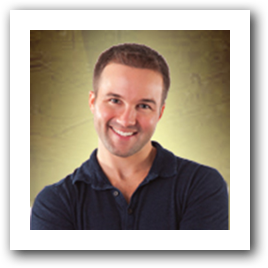 He is also a blogger, podcaster and WebTV Show host, as well as being the creator of the free 7-Day New Business Bootcamp! Podcasting is an excellent medium to share content, and is showing signs of resurgence with a number of thought leaders and professional now entering (or re-entering) the Podcast arena. In a recent interview, Chris Brogan was asked this question — If you had to give up one of your platforms, which one would it be? His answer — I would give up my blog and would keep my podcast and newsletter. If you’re considering starting a podcast, the best advise I can give you is to have plan and system for success. Podcasting doesn’t have to be difficult, but you must be committed and consistent if you want to grow your audience and have an impact. You can have the best equipment, intro music and website, but those things alone don’t guarantee success. 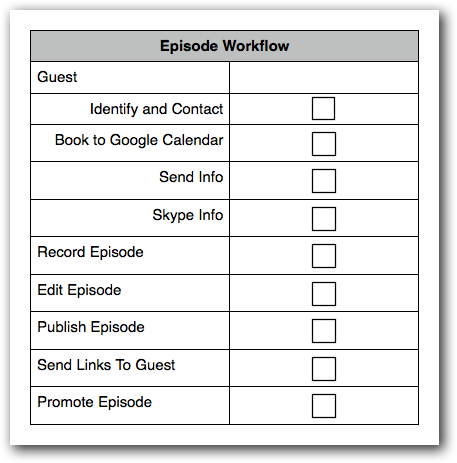 In addition to my workflow checklist, I also have templates for show emails, follow-ups, prerecorded intro’s and outro’s and video Screenflow templates, which allow me to stay focused and save time. I simply drop the new info into my pre-formatted processes. My systems and process make the production of my podcast appear seamless and definitely keep me committed and consistent. Tools I use: Google Calendar, Podio Project Management Software, Screenflow, Skype, Ecamm Call Recorder, Libysn and WordPress. Shelia Butler is a Business Consultant and host of the WebTV show Successful Women Talk. She also owns and operates Me Giant Inc. – a children’s line of room decor and accessories. When bringing a podcast into the world, launch day is of utmost importance. iTunes currently rules the roost in terms of podcast traffic, and they have given newbie podcasters a gift beyond value that goes by the name of “New and Noteworthy”. When one arrives at the iTunes podcast store, the absolute best real estate commanding the top two rows and much of the visible screen, is the new and noteworthy section. From launch date, you have 8 glorious weeks of eligibility to be one of the top 100 “New and Noteworthy” podcasts. The value in being near the top of this list is immeasurable, however 99% of podcasters do not take advantage of this opportunity. EntrepreneurOnFire was ranked as the #1 business podcast on new and noteworthy for 8 straight weeks, and the amount of organic traffic that resulted was massive. Release a minimum of 3 podcasts on launch day. Spend that first week reaching out to your audience asking them to download all 3, and leave a rating and review. The reasoning behind releasing 3 is a simple math equation: 100 subscribers in the first week will give you 300 downloads, as opposed to 100. This will propel you into the new and noteworthy section, and once there, the snowball effect will take over and you can sit back and watch your podcast climb higher in the rankings each day. John Lee Dumas is the Founder and Host of EntrepreneurOnFire, a business podcast that interviews todays most inspiring and successful Entrepreneurs 5-days a week. Past guests include Barbara Corcoran, Gary Vaynerchuk, Seth Godin, Guy Kawasaki, and many, many more. Visit EntrepreneurOnFire.com to experience the journey of these incredible Entrepreneurs. Get a professional voice talent to record your introduction and outro. A voice talent can add a certain flare of professionalism that can set your podcast apart from others. For the Social Media Marketing podcast we hired John Melley and asked him to do an Australian accent. It made a huge difference in our production value. 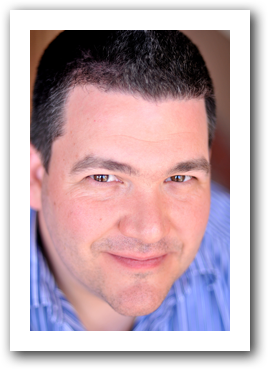 Michael Stelzner is the founder of Social Media Examiner and the Social Media Marketing Podcast. He’s the man behind Social Media Marketing World–the largest social media marketing conference. 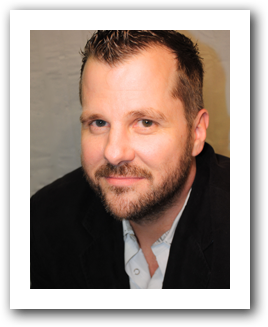 He’s also the author of Launch: How to Quickly Propel Your Business Beyond the Competition. In essence, when you super serve those who are already following you, those folks will eventually be the ones who promote you and your podcast best. Cliff was gracious enough to let me use this video from his presentation at NMX this year. If you look carefully at 1:05 you can see me starting contemplatively from the back of the room! Cliff Ravenscraft is the Podcast Answer Man. 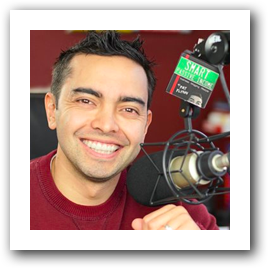 He is a podcast producer, consultant and coach, and offers a Podcasting A to Z online coaching course. Just like with Google results, the top rankings get most of the traffic. So when you decide to create a podcast, shoot for being in the top 5%. Do everything with excellence and make it worth your time! 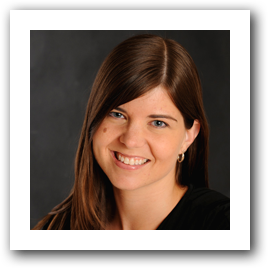 Jaime Tardy is the founder of Eventual Millionaire, where she interviews millionaires for her weekly podcast. Remember my miniskirt philosophy for content because it is very important when it comes to podcasts. Make it as long as necessary to cover the essentials, but short enough to keep it interesting. C.C. Chapman is the Founder of the Cleon Foundation, the author of the bestselling book Amazing Things Will Happen and the host of the Managing the Gray podcast. 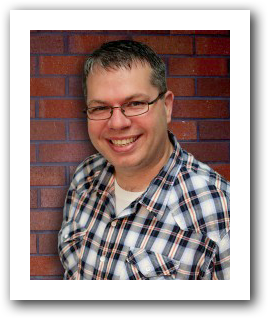 He is also the co-author of Content Rules, with Ann Handley. A podcast is great, but nobody can click a sound – you MUST get people to come back to your website or blog from your podcast. There are several ways to do this, but the best way is to have amazing, detailed show notes. During the show, let your audience relax while reminding them that they can always come back to your site to get all of the links and items mentioned in that particular show. It’s a win for your listeners because they don’t have to scramble looking for links or having to play back certain segments of your show, and it’s a win for you because you’ll drive more traffic to your site where all of the action happens. Try to make the journey to your show notes as easy as possible, whether though a short redirect link such as http://www.smartpassiveincome.com/session51, or maybe a hub on your site where all of your shows are listed instead. Pat Flynn is the owner of SmartPassiveIncome.com where he has an audience of over 60,000 subscribers who learn from his blog and top-rated iTunes podcast about online business and blogging techniques. His podcast has had over 2.5 million downloads in the last two years and he has recently been recognized in both Forbes and the New York Times for his work. Podcasting, more than blogging and social media, can have a reach that is remarkably unique. Why? Because first, you are in someone’s earbuds. They are listening to you and if you create great content and deliver it with sincerity and enthusiasm, you will make a remarkable connection with your listener. That is the power of podcasting. Second, iTunes and other podcasting outlets reach a different audience than your blog, and last but not least, I have found that it takes people one or two podcasts to become a true fan whereas it takes them several blog posts to really feel the same. My tips for podcasting is to first, create content that you yourself would want to listen to, that you are excited to talk about, and that you strike the balance between story-telling (about you or about others) plus value-delivering (what is the listener taking away, is it just entertainment or information and education)? Always ask how do you want the listener to feel after they are done listening to you and what action do you want them to take? Two actions per podcast, one at the beginning and one at the end, can be a good guideline. And this one is understood: Your audio quality must be top notch. Listen to some pro podcasts and see what you can do to get that. I am not saying buy the most expensive microphone and sound system but get that audio quality to be pleasant to the ear both for you and for those you bring to your show. Or else, content will not matter as much because it will be hard to overlook the poor quality. Ears are less forgiving than eyes I’ve found. Good luck and podcast on! 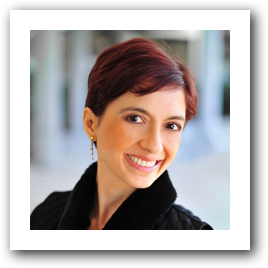 Farnoosh Brock is a corporate escapee and a full-time entrepreneur. Her podcast, The Daily Interaction, is out to prove that if you can communicate well enough, you can have anything you want in life! My best advice is about interviewing. When I’m interviewed, often people will read a canned set of questions and just follow along, checking off what they wrote down. When I interview people, I have ideas of what I want to cover, but I listen with great intent. I let the story tell itself. Guess which one feels dynamic and easy to follow? Be a listening interviewer, not a question list reader. 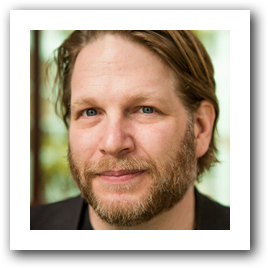 Chris Brogan is the CEO and president of Human Business Works, a business design company that helps professionals work better, do the work they want, and be brave. He is an author, and is co-author of NY Times best sellers Trust Agents, and more recently, The Impact Equation. This approach focuses on selecting the best guests for your show while quickly building a large following and profitable Platform. First create a master list of every potential guest that you would like to have on your show (don’t hold back). A great way to do this is look at similar podcasts and collect the names of their guest. The second step is to look at the Klout scores of each guest and post the details in Column A next their name in a spreadsheet, while adding a new column for Twitter, LinkedIn, Facebook, Google+ and a description of their specialty (from LinkedIn). The Third step add their followers or connects for each column. The Fourth Step is to make sure they align with your audience by reviewing their speciality. The Fifth step is to color the guests’ name Red when they do not align with your shows focus. The Sixth step is to place an A, B, C or D by each one, based on your perception of their social influence. The Seventh is to start with the D’s first (while honing your skills and show format) and work your way up to the top. You’ll come to understand the do’s and don’ts with each new episode you create. The final step is to stay in touch with each guest and build an authentic relationship based on helping one another. This will quickly build a loyal following of listeners while positioning yourself and one of the industry leaders through your show. This strategy uses several compounding elements of success. I’ll list a few to better illustrate what’s happening behind the scenes. “The tipping point” is coming into play due to reviewing and selecting guest based on the social scores and ability to spread the message. “The law of reciprocation” comes into play because you are offering your help to grow their reach (through your show), so they normally will reciprocate (if you are sincere in your actions). Your “Positioning as the industry expert” comes into effect due to your show and its guests, equal a greater value as a whole. 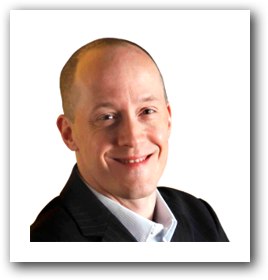 Travis Lane Jenkins is the founder and owner of service and consulting businesses with more than 70 million dollars in sales. 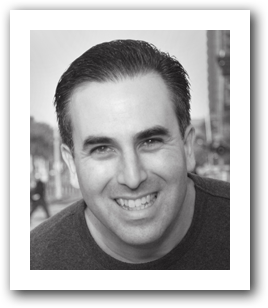 Travis is the co-host of “Diamonds In Your Own Backyard” The Entrepreneurs Radio Show, filled with inspirational stories that explain the tipping point that took high level Entrepreneurs from frustration to success with an emphasis on what’s working right now! I do an interview style show and one of the things I really try to do is add something insightful to the conversation. I do have a loose script but allow the interview to go anywhere that seems interesting. Then, instead of just adding show notes I try to peg the entire discussion around making one key point in the accompanying blog post. 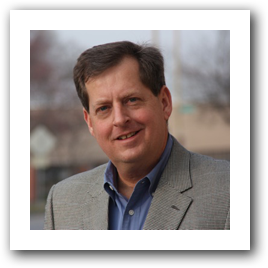 John Jantsch is a speaker, marketing consultant, award winning social media publisher and author of two Wall St Journal best selling books – “Duct Tape Marketing – The World’s Most Practical Small Business Marketing Guide”and The Referral Engine – Teaching Your Business To Market Itself. You Can Profit From Podcasting! Making money from your podcast is very possible, but there are some very specific action plans that need to be taken first. First of all, What do I know?! My podcast, Internet Business Mastery, has been the ranked the #1 podcast in the incredibly crowded and competitive categories of internet business and marketing since 2005 and has made over 2.2 million dollars. First you identify your audience’s pain so you can solve it for them. One of our students, Darline, did that with her site MamasOnBedrest.com. She found all the pain behind pregnant women confined to bedrest, so that she could find all the solutions to pain, creating massive value. Share the story of how you, or someone you are close to, had the exact same pain or problems that the audience has. Save the details of how you overcame the challenges surrounding the pain for action plan #5. When we share our stories, the audience will benefit. Darline constantly gets emails from mothers that thank her for her stories and hope and even consider her story part of what saved their babies. Embrace your story to continue creating value. Telling your story will help build a relationship with your audience, but you must also empathize with what they are going through and connect with them. Here are some ways to do that. Encourage them to comment on your show by asking questions. Then respond to each comment and question. You can even do respond on your podcast. Survey them to narrow down the issues, so you can empathize and speak directly to them and their issues with the content of your podcasts. Paint a picture of what their world will be like once the pain is gone. It’s time to clearly solve the pain your audience has and profit from creating that solution. Let’s use creating an e-book as our example here. How would you create it? You could start by having 10 simple chapters. The first 5 chapters would be answering the 5 top questions your audience has about solving their pain. Chapters 6-10 could be answering the 5 top questions your audience SHOULD ask about the pain, but doesn’t know they should ask. There you go, you have an e-book you can be proud to charge money for. If you did all the others steps above, people will gladly pay you for the value you created. There you go, 5 simple steps for profiting from your podcast. You can do it, you should do, and if you put yourself out there and create massive value, you can not only change people’s lives – you can make an incredible living at it! 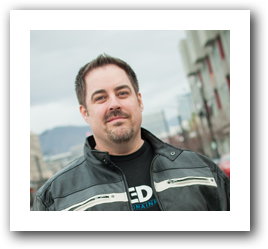 Jeremy Frandsen is the founder and co-host of the Internet Business Mastery podcast. He is on a mission to assist others in finding what they are most passionate about and turning that passion into financial freedom. 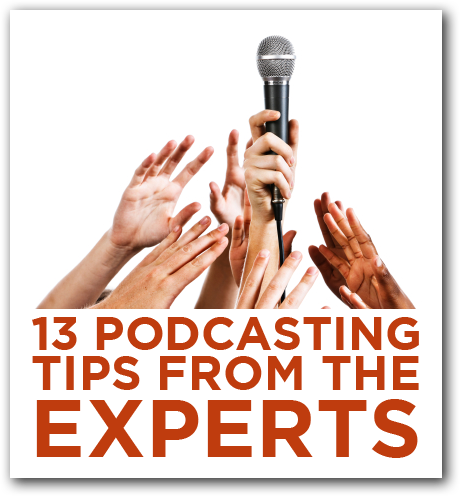 There you have it…thirteen podcasting tips from the experts. Do you podcast? Do you have a tip or piece of advice you can share? If so, let us know your best tip in the comments section below. And if you haven’t yet, please sign up for free updates delivered right to your email inbox. 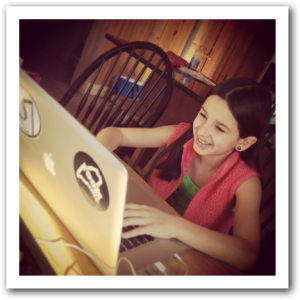 Oh, and one last shout out…I want to thank my beautiful daughter Sophie who helped me put together this post! Not only did she copy and paste most of the tips into the post, she also did some Photoshop work as well. This entry was posted in Content Marketing, Podcast and tagged c.c. chapman, chris brogan, chris ducker, cliff ravenscraft, farnoosh brock, jaime tardy, jeremy frandsen, john dumas, john jantsch, michael stelzner, pat flynn, podcasting, sheila butler, travis jenkins by Rich Brooks. Bookmark the permalink. Thank you so much for including me in your tips post – such an honor. Great tips and big shout out to Sophie for helping out 🙂 Thanks again Rich! I just curated…I’m just so thankful to all the podcasting experts who contributed. And I didn’t even curate on my own, thanks to Sophie! Thanks for swinging by and taking the time to leave a comment, April! Thanks for putting this together, Rich! Awesome resource and perfect timing as I’m in the process of launching my own podcast. Some great tips in here I’ll be using. Like I said, there’s a podcasting renaissance going on! Can’t wait until your show launches. Fantastic post! My husband was just asking about podcast stuff, so I’ll share this with him. Thanks Rich and Sophie!! Holy crap Rich! This is phenomenal. Thank you so much for sharing your research! My pleasure. I hope it gets a whole lot of people to start sharing their expertise through podcasting. Thanks for swinging by and leaving your thoughts! My pleasure! The Social Media Marketing Podcast is one of my must-listens every week! Your advice was great, John! Thanks! I may have to drag you over to the office for some one-on-one consulting, though! You simply got some of the best nuggets from some of the best podcasters out there. Did you just create epic content? Yes sir you did. Thanks, but I can’t take credit for the creation, just the curation. Thanks for stopping by and letting me know you enjoyed it. Rich, thanks for allowing me to be a part of this wonderful post on podcasting!!! What kind of list would it be without THE Podcast Answer Man? Great post Rich. As fairly new to the podcasting game I’ve followed John’s advice and got into New & Noteworthy and look to many of your guests in this post for continued inspiration and guidance. A great resource for those getting started. Thanks! Glad I could assemble such an all-star cast! Outstanding post Rich. Thanks for stitching this together. Love this and great advice from some amazing Podcasters. Still amazed how many people I speak with who don’t listen or listen actively yet and I’ve got to believe there’s still amazing upside potential. I got into podcasting early, fell out, but in the past 12 months have been gobbling up podcasts of all genres for my commute, mowing the lawn, or just taking walks. Thanks so much for this, Rich. Amazingly rich resource for both newbies and oldies in the podcasting game. So good to get a wide variety of voices, and links to podcasts and leaders I had not come across before. Great job! Just so glad so many talented podcasters agreed to share their knowledge. These tips come in very handy as I’m about to launch my own podcast soon. Thanks! Thanks! I’m glad you added your piece on monetization…a question that a lot of marketers ask and need to answer. Funny how podcasting is all of sudden, once again, the new new thing – I did my first show in 2005 and then saw podcasting kind of fade away, you know, kind of like blogging – it’s really cool to see people redisovering this tool in a serious marketing kind of way. Great article – this should really help some aspiring and long term podcasters out. I had a podcast back in the day…”flytecast” for my “other” job, president of flyte. It took way too long to put together a single episode b/c I was too much of a perfectionist. When I let it drop, I was surprised that a lot of people wrote to ask when the next episode was coming out. It’s amazing the passion that listeners can bring to the table. As I ramp up for The Marketing Agents podcast, I’m learning from the past. I’ll be leveraging other experts’ content and advice through interviews, so I can share new ideas in areas where maybe I’m not so strong. Thanks for contributing, by the way! Yeah I say that all the time, John. I now look at it as we were the super early adopters and now the early adopters are finally getting into it. I cannot wait to see the subscription numbers as this podcasting thing finally goes main stream! Michael Stelzner hired someone for an *Australian* accent? How odd. I’m Australian and was wondering why Michael had an intro with an English accent (sounded almost Cockney to me, but not recognisably Australian). He was GOING to hire you, but didn’t think he could afford you. Great post, Rich! Really useful tips here. But I have to say – nothing wrong with posts that sound Spinal Tap-esque… see if you can make this blog post go to 11. I’m a HUGE fan of Cliff Ravenscraft and Pat Flynn! Great guys. I listen/follow a few of the others as well and now have a couple more to check out. I just launched my podcast last month and was TOTALLY surprised at how much fun it was! Sounds like a lot of fun! It also makes you look so much more alive to your audience. Am glad podcasting is back in shape, although voices are never better then written words. My podcast for women entrepreneurs was just accepted into iTunes. Some of my tips: 1) Write short, compelling episode titles that make your audience want to listen. Just like a blog post, listeners need a reason to spend their time listening to you.2) Buy (don’t steal) intro and outro music from online companies that sell rights to use the music in podcasts. Just Google “music for podcasts”. You can buy the rights for podcast use for about $30. 3) Talk and interview guests as if you are talking to one good friend in your audience. What would your friend want to know about this guest? What questions would your friend ask? After 85 episodes of my own show, I’ve learned that podcasting is incredibly valuable for small biz. 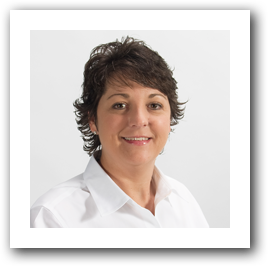 It’s become the second most valuable form of lead generation for my own biz – after word of mouth. Great audio quality is vital because you need to show your professionalism. Being in people’s ears is an amazing relationship builder as it’s so intimate. My tip would be to invest in great equipment. Thanks for sharing…I agree that audio is critical. Too many podcasts have been deleted off my ipod because I have trouble hearing what they’re sharing. I love the miniskirt example. Podcasts are never too long, only too boring.